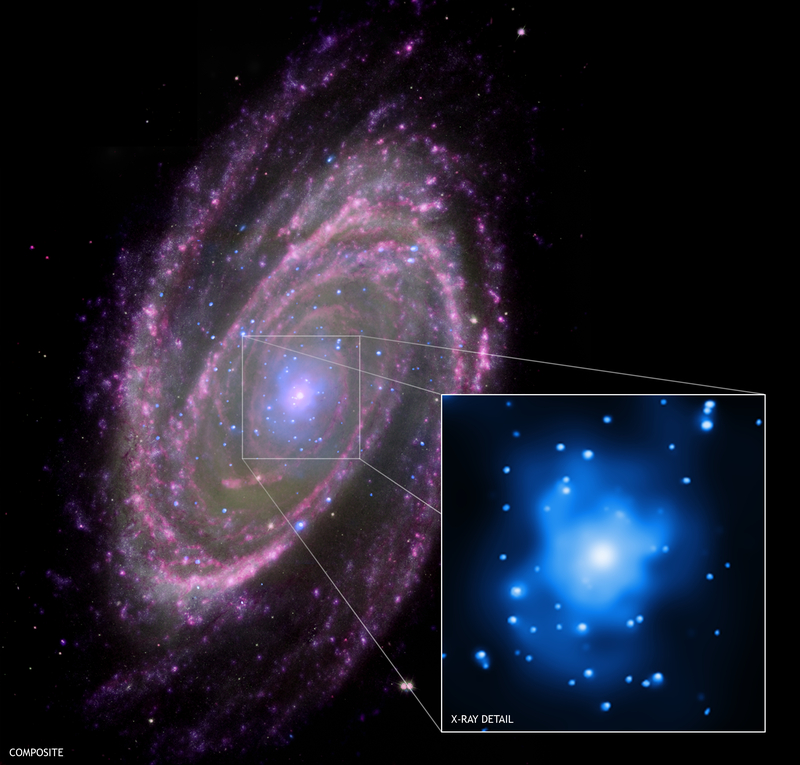 A new study using data from Chandra and ground-based telescopes, combined with detailed theoretical models, shows that the supermassive black hole in M81 feeds just like stellar mass black holes, with masses of only about ten times that of the Sun. This discovery supports the implication of Einstein's relativity theory that black holes of all sizes have similar properties, and will be useful for predicting the properties of a conjectured new class of black holes. The supermassive black hole in M81 generates energy and radiation as it pulls gas in the central region of the galaxy inwards at high speed. Therefore, the model that Markoff and her colleagues used to study the black holes includes a faint disk of material spinning around the black hole. This structure would mainly produce X-rays and optical light. 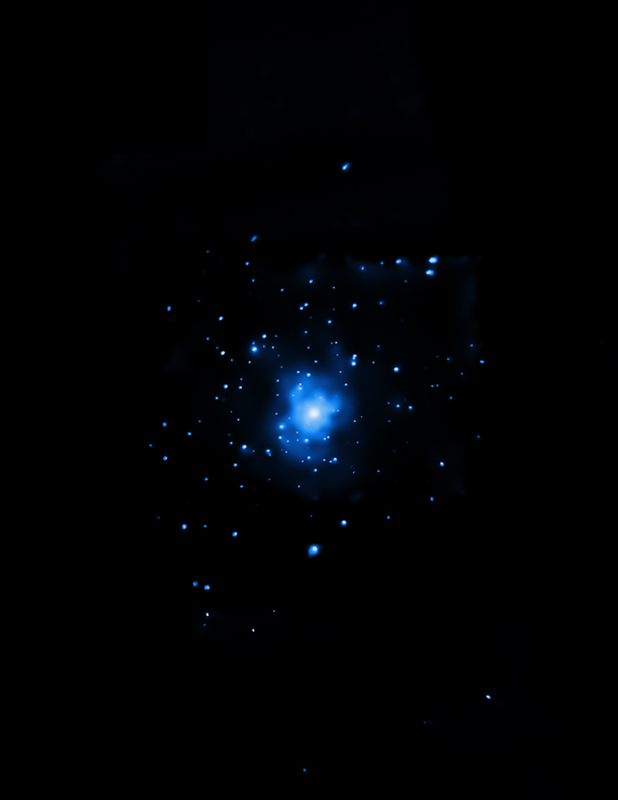 A region of hot gas around the black hole would be seen largely in ultraviolet and X-ray light. A large contribution to both the radio and X-ray light comes from jets generated by the black hole. Multiwavelength data is needed to disentangle these overlapping sources of light. Scale Full field image is 3 arcmin across. Coordinates (J2000) RA 09h 55m 33s | Dec +69° 03´ 55"
This is so cool. I love that you make these images available to the public. Great distance estimate graphic too, really puts it in perspective. I have trouble grasping the size and this helps.